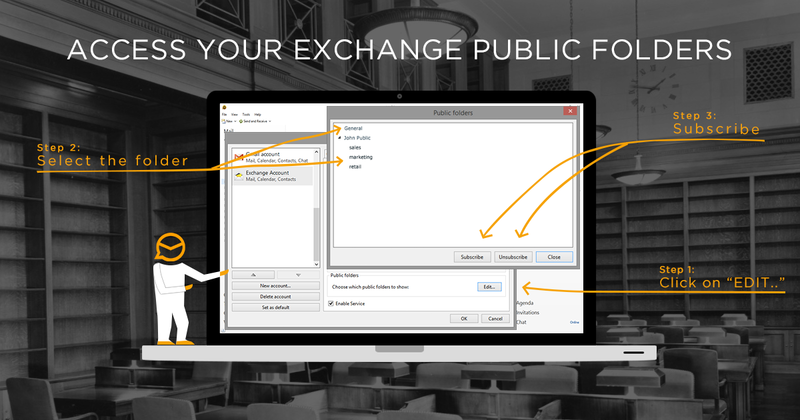 If you're using an Exchange account in eM Client, we have some good news for you. Some of our users have been missing the option to subscribe and unsubscribe public folders on the Exchange server. This feature is now a part of eM Client 6 and will be available to all our users from now on. You can find this new feature in your account settings under Tools > Accounts > Your Exchange Account > Mail, Contacts and Calendars. Scroll down to open up the list of public folders and use the "Subscribe" and "Unsubscribe" buttons to add or remove the folder from your list of synchronized folders. All subscribed folders should be listed below your account in the left pane. Before subscribing to folders, make sure your Exchange account is fully synchronized with the server, as the folders can be listed only when the account has been fully synchronized. If you come across any issues with this new feature, make sure to let us know on the Community Support or our VIP support if you're a PRO license user.